Areas of Iceland that have experienced high volcanic ash deposition can accommodate up to three times as many breeding waders. However, there remained a large amount of unexplained difference in wader abundance. Some of this variation appeared to be ‘regional’, as abundances tended to be consistently higher or lower in particular parts of the country, but the cause of these regional differences was not clear. Survey points for the large scale survey are shown as open circles. Reproduced from Gunnarsson et al 2015. It turns out that the regional variation in wader abundance in Iceland is closely associated with volcanic dust deposition, which varies greatly around Iceland because of the active volcanic zone that runs diagonally NE to SW, where the North American and European tectonic plates meet. Areas with high dust input support more waders, probably because of the boost to productivity provided by the high levels of nutrient input. Interestingly, this pattern is most apparent in wetlands (which would be expected as high water levels facilitate nutrient deposition) and is not apparent in agricultural land (probably because more recent fertiliser inputs mask the effects of dust). Volcanic dust deposition has been linked to primary productivity (vegetation growth) but this is the first study we know of to show links all the way to the top of the food chain. Iceland may show underlying links between geology and biology more strongly than other countries, where landscapes have been managed more intensively and for much longer than here. Volcanic dust in Iceland is primarily basaltic and subject to rapid weathering, releasing minerals that are important for ecosystem functions in terrestrial systems. The fertility of the basaltic volcanogenic dust and rapid deposition rates override the importance of organic matter and clay when it comes to the redistribution of nutrients, through nutrient cycling and buffering of soil and pH. This can in turn affect invertebrate food resources of birds. Although volcanoes are the primary producers of dust, distribution is not restricted to active volcanic episodes. Iceland’s thin soils are readily eroded during windy weather, allowing redistribution of nutrients, and dust trapped in snow and glaciers is released during the spring and summer melt. As glaciers retreat, the net amount of available ash increases. Major events such as the eruption of Eyjafjallajökull in 2010 have the potential to significantly add to nutrient levels, although much of the 250,000,000 cubic metres released blew south in this case, with huge consequences for air travel. Not all of the impacts of dust are positive. A recent paper has shown that the Eyjafjallajökull eruption reduced the productivity of Whimbrel during the next two years. See Whimbrels & dust by Borgny Katrínardóttir et al. Although the long-term effects of dust were clearly present for all birds, when considered together, and for the suite of common birds that were widely recorded during the Large Scale Survey, the clearest patterns appeared in the wader data, as shown below. In dry areas (middle) and wet areas (right) there are far more waders in regions of the country that have experienced more dust deposition. 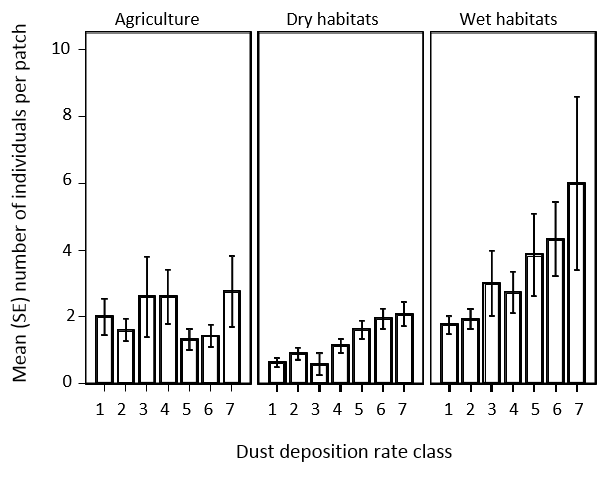 The number of individuals tripled between the lowest and highest classes of dust deposition. Unsurprisingly, there were more waders in wetland areas, as they attract higher numbers of species such as Dunlin, Black-tailed Godwits and Redshank. In farmed areas (left), where slurry and artificial fertilisers are used, the local effects of dust deposition are masked. The variation in mean (± SE) abundance of waders in agricultural habitats, dry habitats and wet habitats in areas of lowland Iceland with differing levels of dust deposition rate (7 = highest deposition rate). Reproduced from Gunnarsson et al 2015. At the individual level, five of the seven common wader species all showed a significant response to variation in dust deposition rates (Black-tailed Godwit, Whimbrel, Golden Plover, Redshank & Otstercatcher). The trends for Snipe and Dunlin were not significant. Iceland is a country with many active volcanoes and there is always the potential for another eruption that could produce a similar ash plume to that of Eyjafjallajökull in 2010, if basaltic lava erupts beneath a glacier. Until this happens, smaller eruptions will produce new material in smaller quantities, whilst wind and water will redistribute the dust that has already been deposited. 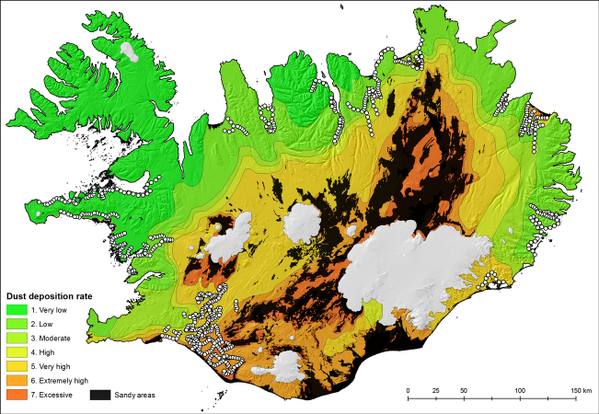 Given that most of the major dust sources are located at glacial margins and in floodplains, and that Icelandic glaciers are retreating due to climate warming, it is likely that volcanic dust inputs will increase in the future, which would have a negative effect on air quality in Iceland, but potentially a positive effect on lowland ecosystem productivity in general. This study shows that dust releases can have large-scale and long-lasting effects across food-webs. WaderTales blogs are used to celebrate waders and wader research. Many of the articles will be based on previously published papers, with the aim of making wader science available to a broader audience. The choice of topics will reflect personal interests, so there will be plenty about Black-tailed Godwits and the international team of scientists who study their behaviours and life-histories. I hope that these blogs will be of particular interest to the hundreds of people who contribute their sightings of colour-ringed Black-tailed Godwits to the ever-expanding database of movements. 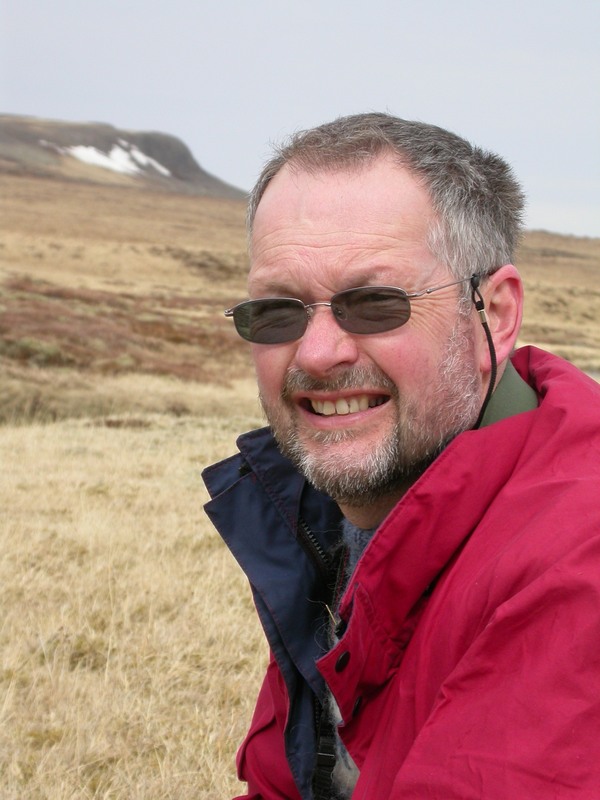 The first blog appeared on Monday 28 September, telling the story of why areas of Iceland that have been subject to higher deposits of volcanic dust can support up to three times as many waders as those that have received least. 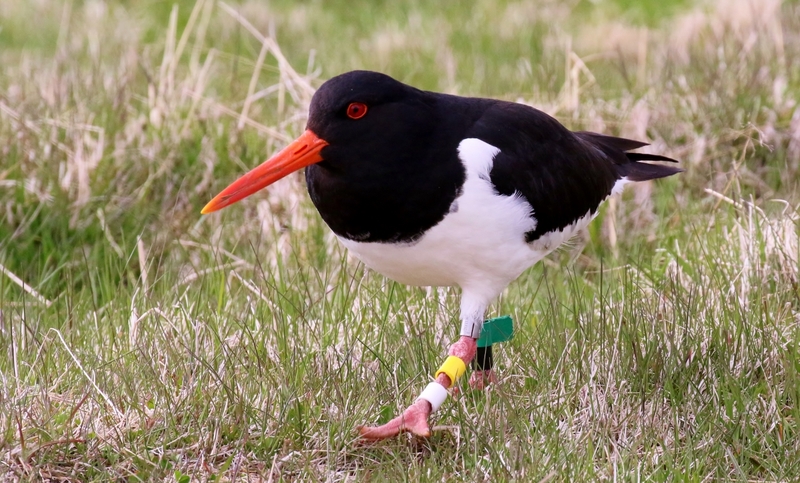 On 2 October the second blog outlined new research which aims to explain why some Icelandic Oystercatchers migrate while others stay in Iceland – and how this might impact upon our understanding of how migration patterns change. As this project unfolds, colour-ring sightings from birdwatchers are once more going to be very important. By the end of October I hope that there will be a piece on the Black-tailed Godwits of Cley and another on the RSPB’s research into Lapwing predation. Comments and suggestions will always be welcome.